While it was not our first visit to the Everton Park estate, our recent trip still amazed me how much the quaint estate had revolved with yet another wave of cafe movement to hit town. 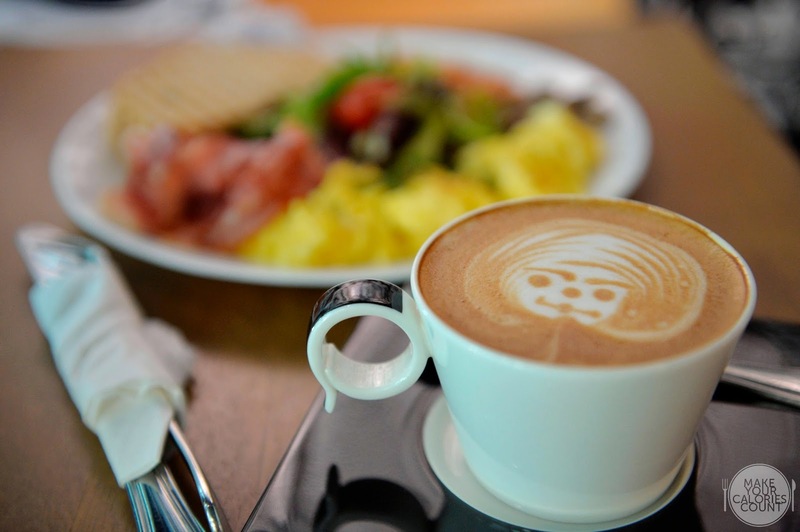 Taking a stroll around the blocks uncovered at least six to eight cafes each serving their so-called speciality brews and all-day breakfast meals. 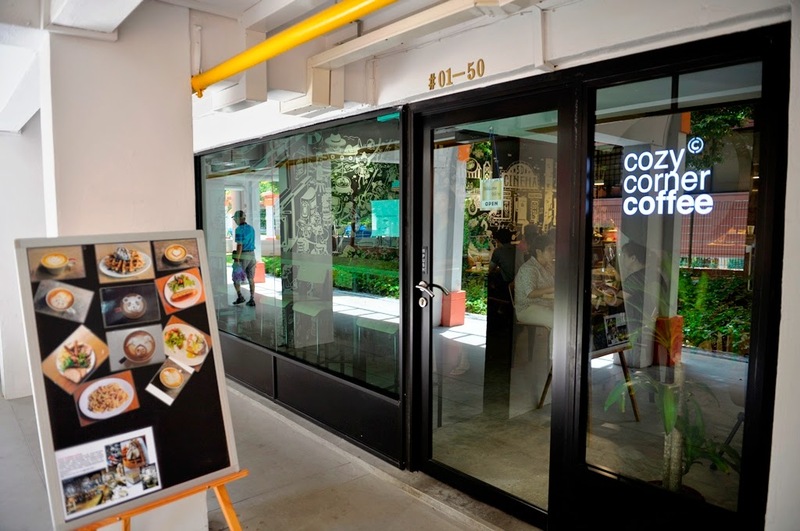 Spoilt for choice, we decided to randomly walk into the most cosy looking one to avoid the scorching afternoon heat and coincidentally or not, we stepped foot into Cozy Corner Coffee, having been attracted by the interesting looking snapshots of latte art plastered outside the cafe! While we thought that the latte art was interesting, we felt that the coffee was rather lacklustre in flavour as the after-taste was relatively mild. With a preference for robust flavours from the coffee beans and its inherited acidity, the latte came across rather milky. As usual, I had my trusted long black coffee $4/-), which similarly lacked depth though it was in all fairness a decent brew. It is however a personal preference that I generally enjoy a darker roast of my coffee beans. The all-day breakfast is available with and without sausages with the former at S$15.80/- however we visited on a half-filled stomach so we decided to take the lighter option. 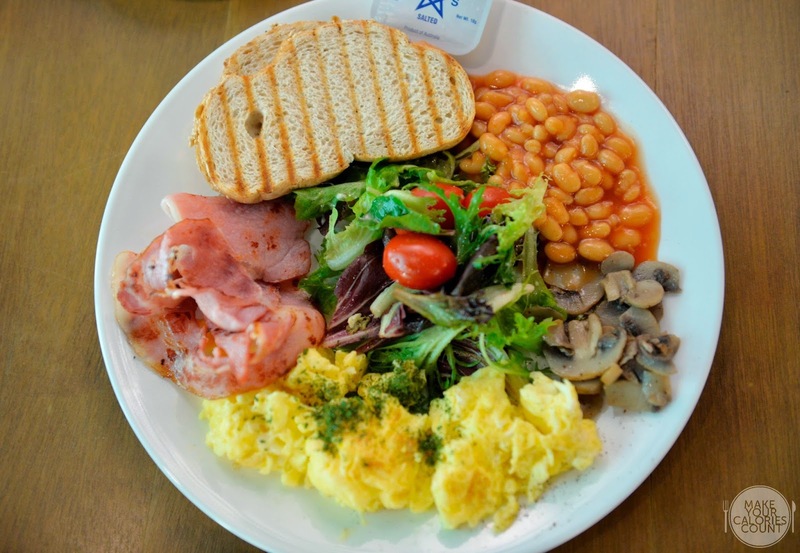 With a generous portion of bacon, scrambled eggs, mushrooms, baked beans, salad and two slices of toasts, we felt that it was priced quite competitively compared to the other cafes out there though its location within the HDB estate is also a consideration. 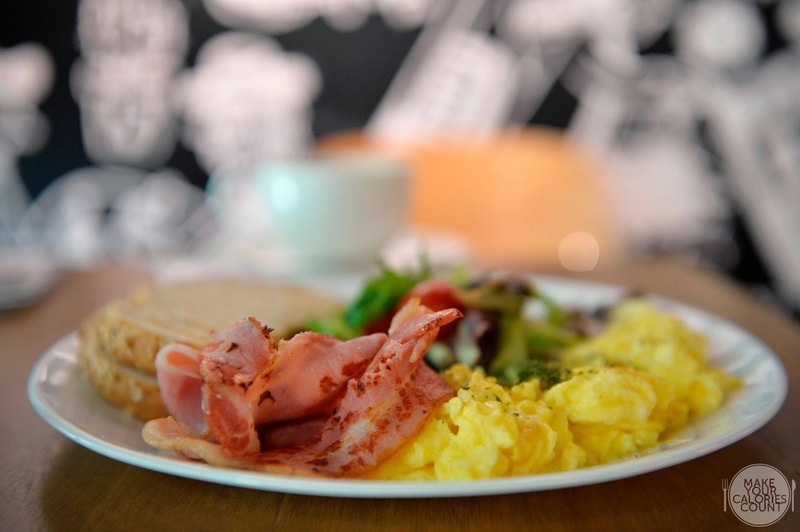 We felt that the respective items on the platter were cooked decently well and collectively as a dish, it was surely value for money for an all-day breakfast platter. When it comes to desserts, there is no such thing as 'I am full' because there will always be a spare stomach, well at least for the folks at make your calories count! Seeing that the waffle was one of the signatures at Cozy Corner Coffee, we felt that it was worth a try! There are various combinations with ice cream as add-ons but we went for the classic with sliced bananas drizzled with chocolate sauce. For the price, we could not quite complain that only half the waffle was served but it was not done to our liking. 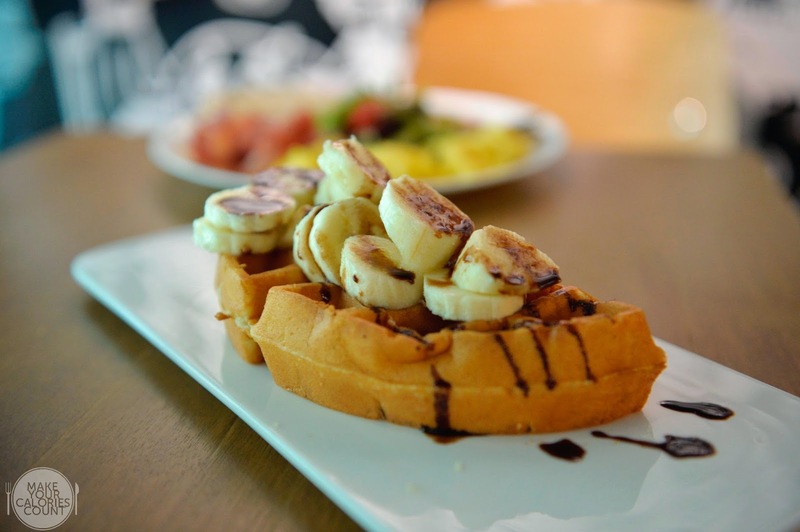 Having recently tried the crispy waffle at Assembly Coffee which won us over, the soft and rather starchy waffle did not quite live up to our expectations. It was a little too dense for our palate and neither the sliced bananas nor the chocolate sauce lifted the dessert. In all fairness, we enjoy our waffles crisp with a rather airy inside so that we can enjoy it more as a dessert rather than a filling dish. The two ladies were friendly in their disposition and we enjoyed the cosy ambience. 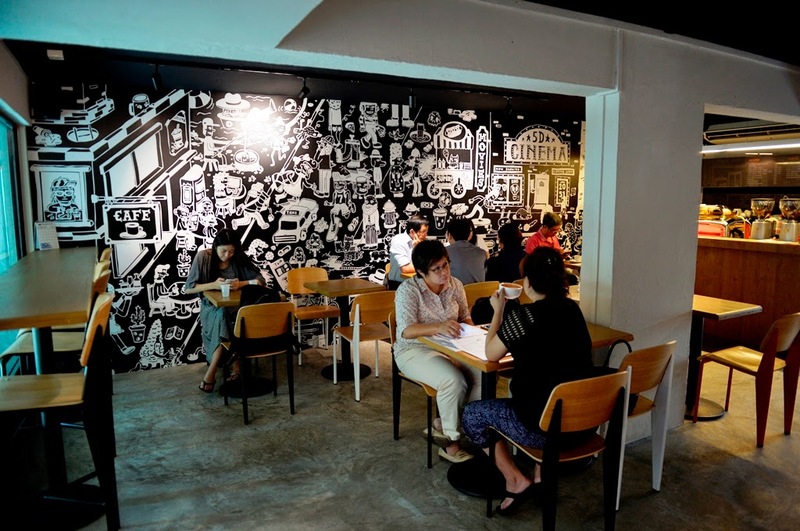 Apart from the free-flow jug of plain water that is self-service, it is also one of the few cafes around in town that offers free Wi-Fi services for its guests. 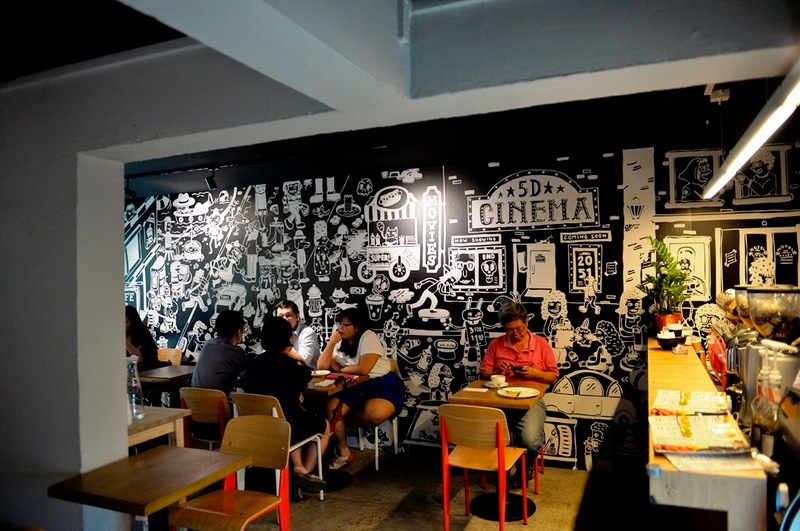 It may also be worth noting that the prices on the menu are nett with no additional service charge or GST to be imposed, making a brunch meal here very affordable to say the least!